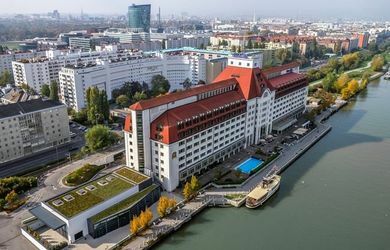 Plan your next meeting for the summertime at Hilton Vienna Danube Waterfront and savour the unique seaside view on our terrace! Take this opportunity and look forward to relaxing right at the river bank of the Danube on our terrace after a busy day full of meetings. While enjoying the specialities of our kitchen team like our new summer BBQ. Perfect for finishing a successful day full of meetings or for beginning the upcoming meeting days with a get-together BBQ.